Exit 63 on I95. 10 minute cab ride from the Madison Connecticut Shoreline East Station. Enjoy Our Singer Songwriter Series featuring talent from the tri state area and touring artists. Our Bistro chefs create custom Farm to Fork menus for each event. 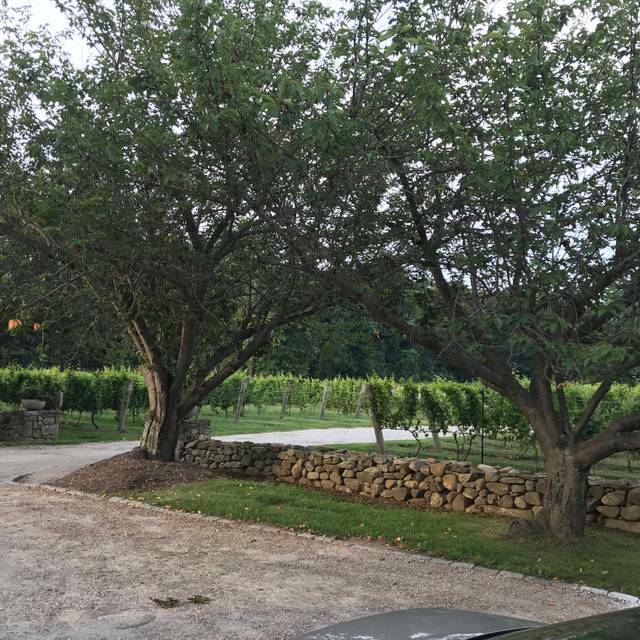 Established in 1983, Chamard Vineyards, is one of the Connecticut Wine Trails founding fathers. 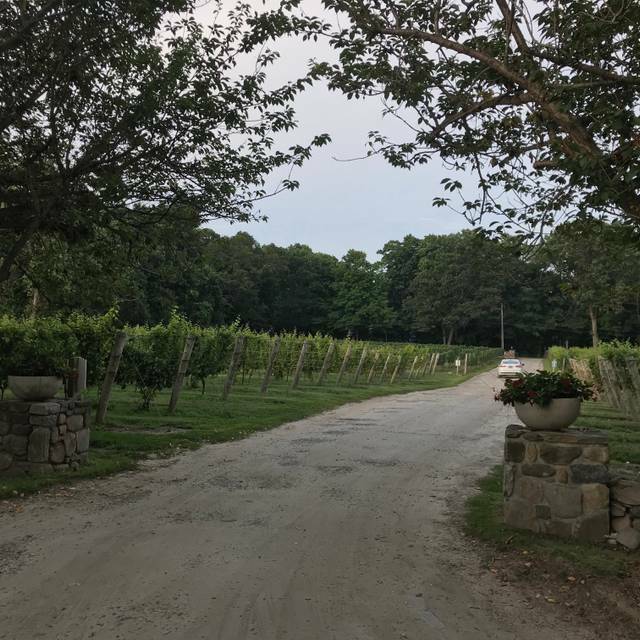 Tucked between the Long Island Sound and the Connecticut River, Chamard enjoys a unique marine micro-climate ideal for growing European Vinifera vines such as Chardonnay, Riesling, Gewürztraminer, Cabernet Sauvignon, Cabernet Franc, Merlot and Pinot Noir. To produce “French Inspired Wines from the Connecticut Shoreline” has been Chamards mission from the start. As a farm, Chamard honors agriculture by partnering with fellow growers and producers to pair food with wine in celebration of Connecticut’s local gastronomy. Delicious food, beautiful setting for quiet afternoon lunch. Beautiful setting outside and inside the bistro. The octopus was excellent. I was surprised the wine was very good. Had the cab/ merlot blend was good. The grapes from California were chosen by the vintner at the restaurant and processed on site. A hidden gem in the area. Excellent dining and service at a wonderful venue. From the greeting upon entering to the last bite of dessert Chamard Vineyards Bistro did not disappoint. We had the Mediterranean Platter and Charcuterie Platter with a delicious wine pairing suggested by our server. 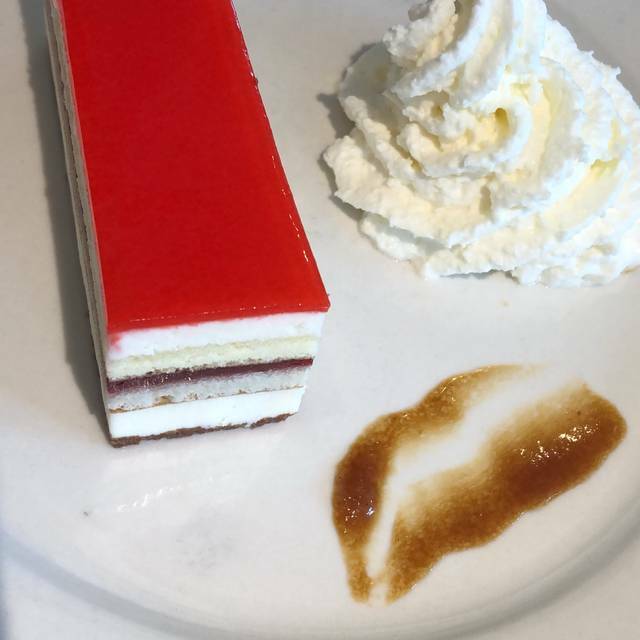 The raspberry Napoleon was the perfect ending to a wonderful meal. Food and service are quite good, using their own wines are a nice touch but the Bistro can be quite noisy. Very nice atmosphere. The menu is limited in size but the quality of what they have was excellent. The food was delicious and the service was superb. 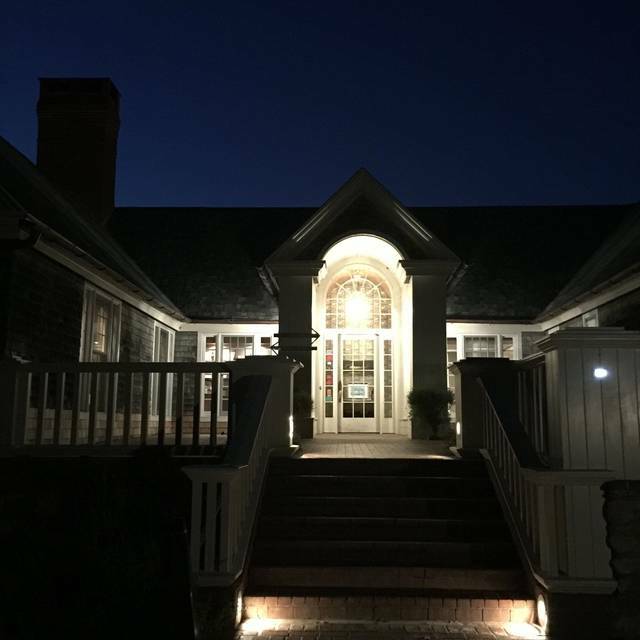 Amazing space with a great view of the vineyard, friendly servers and fantastic food. Had yet another great experience at Chamard. We all had the burger which was delicious and prepared exactly as ordered. Since we were celebrating a birthday, we also had four of their desserts which were homemade, beautifully presented, and delicious too. Oh, and a bottle of their Sauvignon Blanc coupled with amazing service made for a perfect Sunday afternoon! Inadequate number of staff for the number of patrons on a Saturday evening (even early). Waiter placed one order incorrectly so had to wait (a relatively long time) for one while others ate--though keep being told it would be "just a minute." Try 8-10 minutes. We are so sorry for the mess up with your order last weekend. We hope we can make it up to you and that you will accept our most sincere apologies. From the burgers to the cod to the steak frites, everyone in our party raved that their meal was delicious! Service was incredible as well. Would highly recommend. I was looking for a good restaurant to which to take my wife for our seventh anniversary. The Chamard Vineyards bistro jumped out at me as I scanned the possibilities on Open Table. It did not disappoint. Cindy and I both thoroughly enjoyed our meal and the wine. We highly recommend the bistro to other couples. Lovely, relaxed atmosphere for lunch. The service was top notch and the food was delicious. Will definitely return! Always an excellent meal. Slightly upscale food from onion soup and baked cheeses to amazing burgers to duck. Deserts are fresh and great. Esprsso too. Very reasonable prices. The service is always amazing. Friendly smiles all round will modify any dish and replace or credit if you dont love it. Of course this is a winery so their very own wines to choose from. This is my third visit to Chamard. Love the wine, the ambiance and the food! 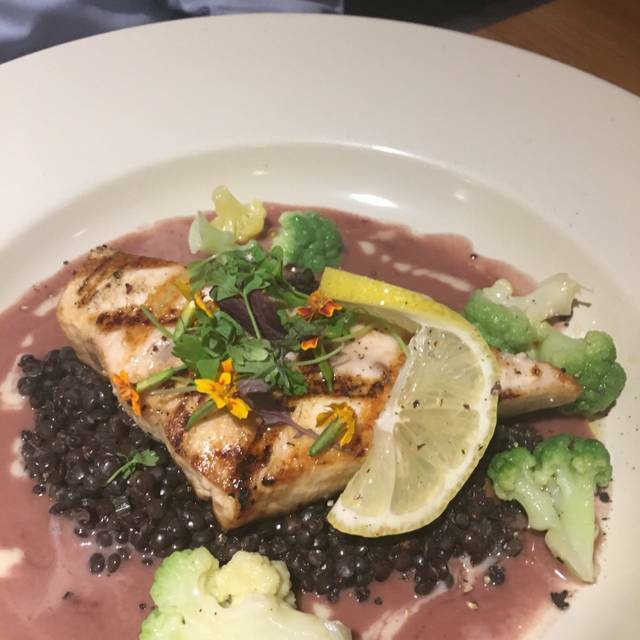 Excellent food and good choices. Great service too. 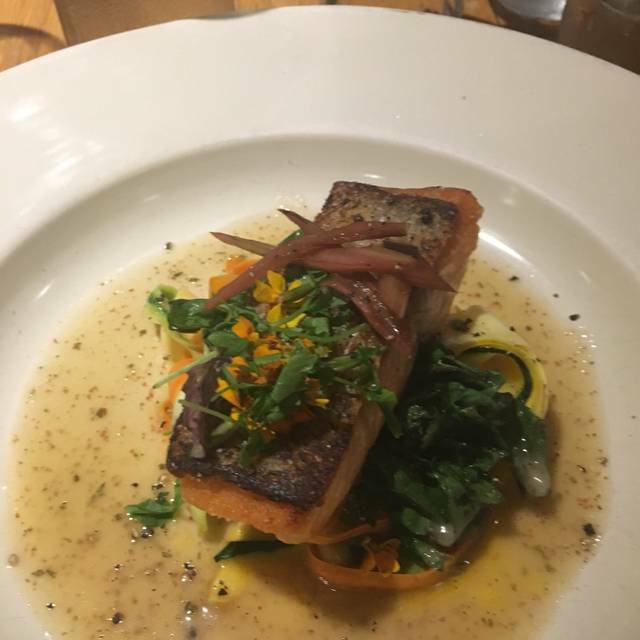 Would like to see a salmon dish offered and more vegetarian dishes. Also, drink choices could be better - would love to see mock-tail offerings with juice options. 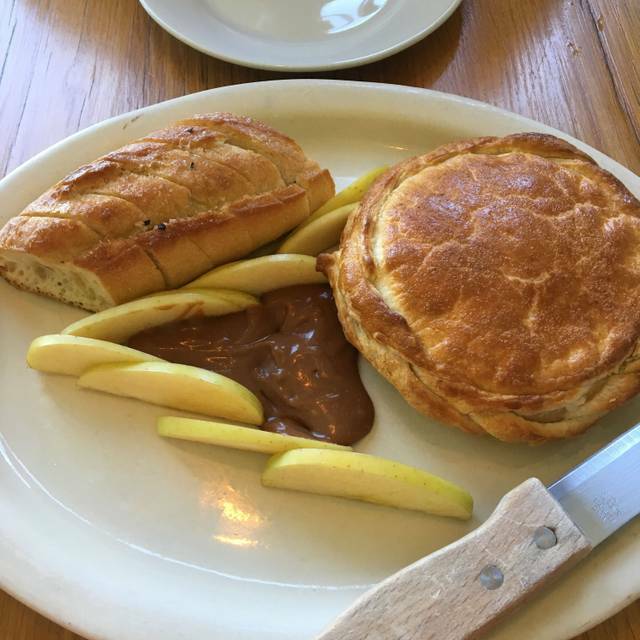 We have enjoyed several meals at the Chamard Bistro, never a disappointment. We have recommended the Bistro to our friends and family and have also visited the wine tasting room. We tried the impossible burger on Tuesday's Burger Night and absolutely loved it. The staff was attentive and knowledgeable, the ambiance was lovely, and the wine was delightful. We would certainly return for a second meal. As always, a great dining experience! Great wine and cocktail list. Food is good, service excellent. Only wine and hard cider available, expected at least a beer option. Generally, very nice place overall. We had a reservation, but it still took a few minutes to be seated. It was worth the wait!! Everything was spectacular, from the service to the wine to the food that we ordered! Food much better than last visit in the fall. Wine choices pretty much the same. Service was extremely slow but friendly. Appeared to be very short handed. Very busy so grab a reservation before coming here. Thanks for your feedback, we appreciate it! So sorry your service was slow, our most sincere apologies. One of my favorite places. I've never had a bad meal. Loved it. The food was exceptional. Waitresses were very nice and cordial. Would go back soon. We had a nice lunch, we've been there a few times before and always enjoyed the food. , this time I was a little disappointed. We started with the Mediterranean plate, dips were fantastic, pita bread was a small amount to accompany it. 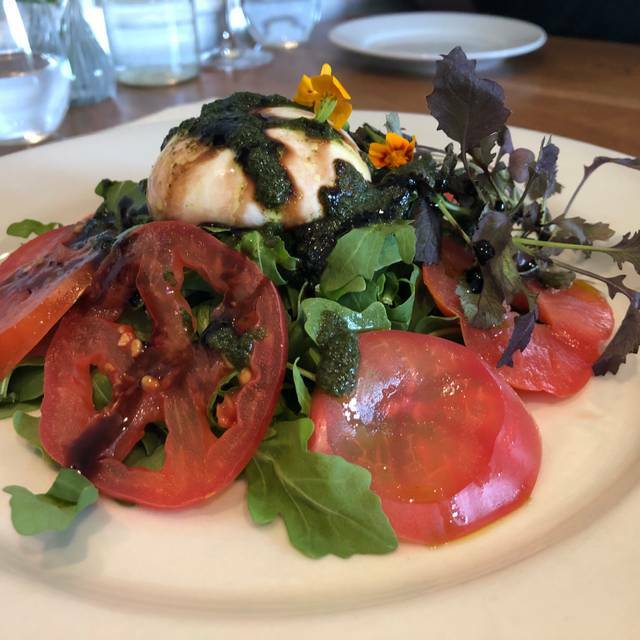 Next we had the lyonaisse salad, delicious. Next my wife had the Chatham cod excellent dish, I had the pork belly, very tasty,but here's where it starts. My dish had more vegetables than the actual star of the show, the pork belly was less than a half inch thick and no larger than a inch and a half square. 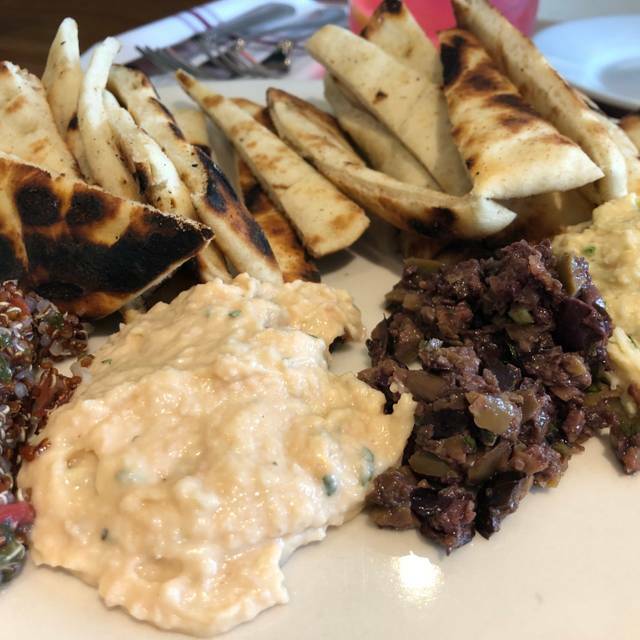 Prior to dinner the waiter asked us if we would like more pita bread to accompany the dips knowing there wasn't enough of pita, we said yes, when he asked us how the food was I had a hard time agreeing with his pretentious attitude . When we received the check, We couldn't believe this establishment was that desperate to charge 1$ for pita bread knowing there wasn't enough ,. Most likely will not be back.